How to do Subscription of JIO Prime Membership With Paytm - Jio recently has announced its new offer named Jio prime Membership, So today i am gonna discuss about "How to Subscribe Prime Membership With Paytm Wallet" And also there are some Cashback Deals. So Let's get started. 1) Is user have to pay 99 every month? Ans : No, User have to pay 99 for one time only, than user have to pay according to desired plans.There are many plans available Like 149,303,499 I will suggest you to go for 303 Rs Plan. 3) Is there are any Ad-on Boosters? 4) Is it necessary for user to recharge every month? Ans : No , It is depends on user, if he/she wants to skip a day,week or month than he/she can. But 99 Rs Subscription should have to buy first. 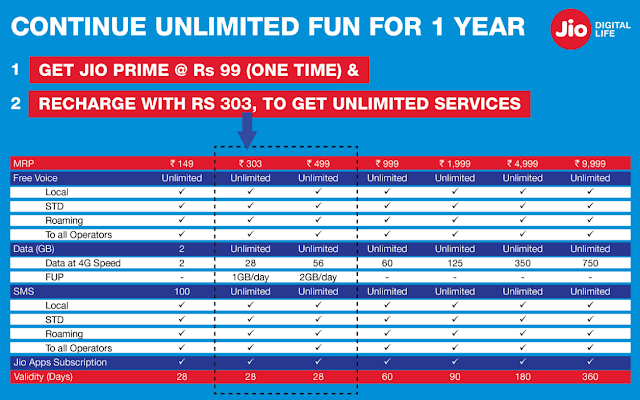 5) Can User can Buy Sim Now and Be eligible for Prime? Ans : Yes, But Deadline for new users is 31 March 2017. 2. 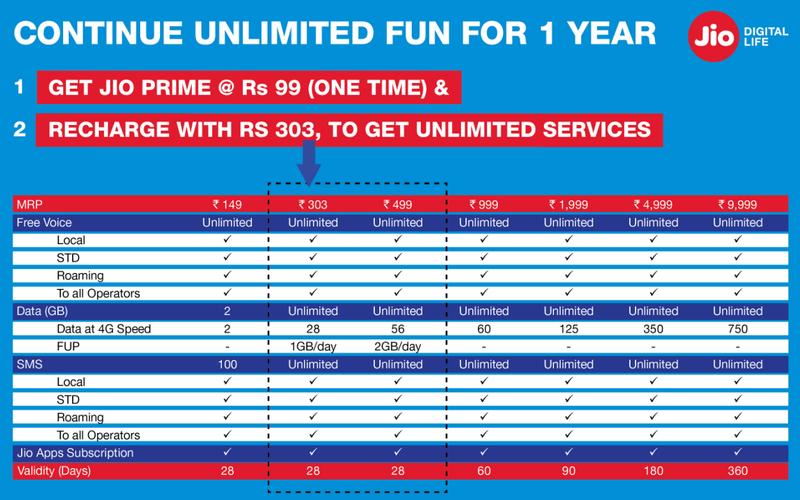 In My Jio app you will see one Image of "Continue Unlimited Fun For 1 Year" and there you can see One Button of "Get Jio Prime", Click On That Button. 3. Now recharge Section will get opened, Click On " Jio Prime Membership Plan - 99Rs". 4. Now Payment Section will get opened, now there you can see One option of Wallet/Cash Cards. 5. Click on that choose Paytm, now login to Paytm and pay the amount. 2. Login or sign up in Paytm wallet. 3. Now goto recharge section Enter your Jio mobile number. 4. Choose your Network as Jio. 5. Now click on Browse Plans Button and choose 99 Rs Plan That it. 2. Enter your Jio Number and choose 99 rs Plan and Proceed to Pay. 3. There you will see various payment method Choose Wallets/Cash Cards. 4. Now choose Paytm, than login to your account and pay the Amount. 1. Get 30 Rs Cashback when you will Recharge with 303 Or More. 2. Get 10Rs Cashback when you Subscribe 99 Rs Plan with Paytm wallet. 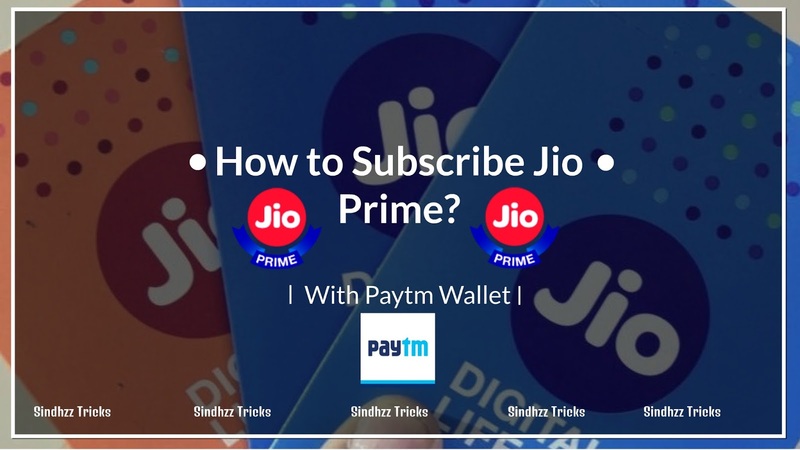 So This was Little Guide About Jio Prime, If you find this article useful than don't forget to subscribe our E-mail or Whatsapp Subscription or you can click on Red bell icon to subscribe our Push Notification.. Thankyou.